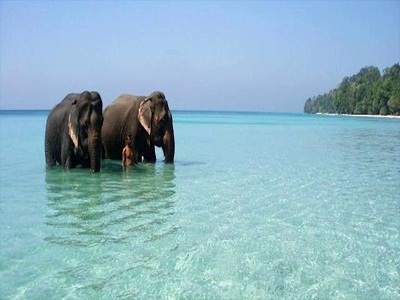 Elephant Beach is the second most popular attraction in Havelock Island. Turquoise water, fallen tree trunks, mangrove bay, beautiful coral reef attract thousands of travelers to this location every year. 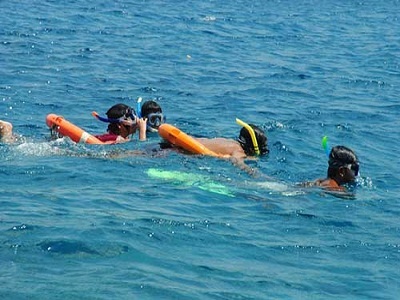 Snorkeling and Sea Walk are the two activities that you should not miss in Elephant Beach. A picturesque view of the open sea with a few island hills in the background is an exotic picture that you must experience. There are 2 ways to reach the elephant beach. 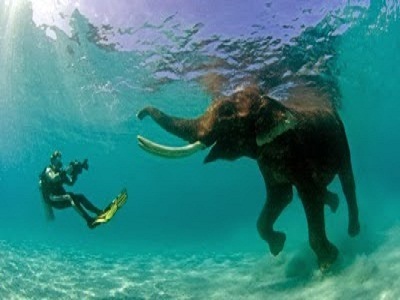 The easiest and most preferred way for travelers is to use a boat from Havel Havelock Island to the Elephant Beach. Boat takes approx. 20 minutes to reach this attraction. For those who want to get out of the way, they can walk through the woods to reach the elephant beach. Trekking takes about 40 minutes. You can snorkel here. Go for jet skis or speed boat rides. A glass bottom boat is available to display the coral reefs through these boats. Sea Walk is the second most amazing activity on this island.